An exceptional exhibition has just closed at the Tate Britain and it is sadly not going anywhere else, apparently. 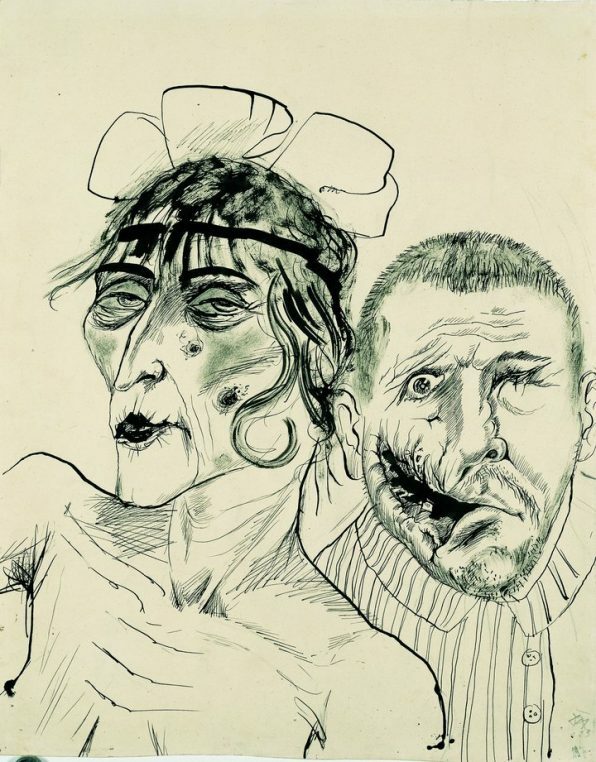 Aftermath is the extraordinary show of World War 1 artists such as Marcel Gromaire, Max Beckmann, Otto Dix, Paul Nash, Max Ernst, who fought in the war and went on to influence the art world of the 1920’s and 30’s leading to Dada and surrealism. It is a perfect background for understanding a rediscovered book, “Not so quiet“, first published in 1930. The story of six very young British lady ambulance drivers in the Somme who participated in the war effort and probably never recovered from their traumatic experience. 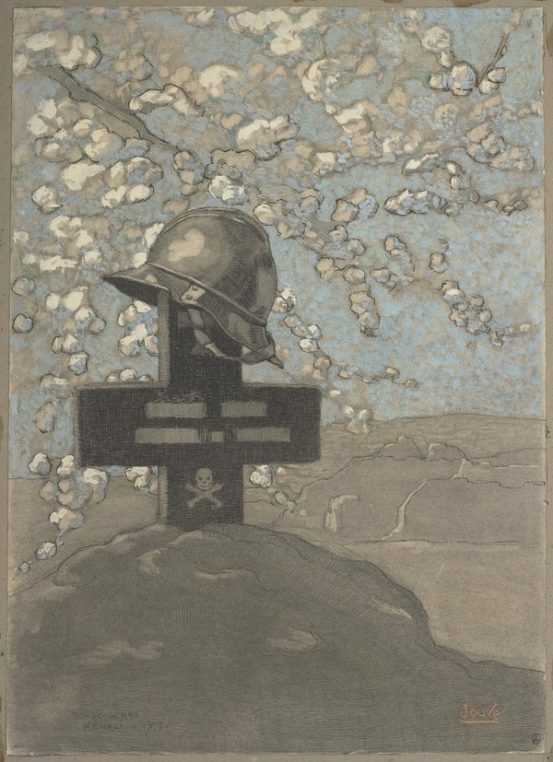 Editions de Fallois is publishing the French translation just before the 100 th anniversary of the Armistice. 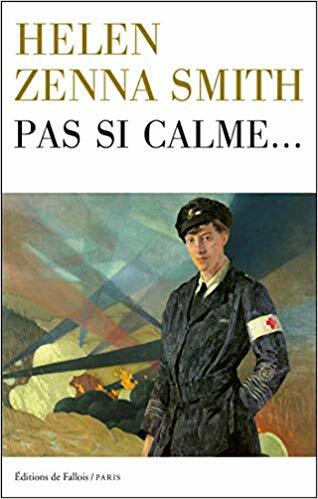 Helen Zenna Smith, an Australian writer who lived in London, was asked to tell the story of these young well-to-do women who volunteered (and paid) to go and drive ambulances in France in the Forbidden Zone. She used the diary of Winifred Constance Young, to write the most vivid and sometimes funny account of the life led by these ladies in their early twenties who discovered everything about men through the lens of the war. Their duty was to drive the wounded in their ambulances from the train stations to the hospitals in the dark, the snow, the mud, for hours at night. They were starving except for the food packages they received from home and saw ravaged faces and bodies all day long. It is fascinating to follow their travels on the train, to realize the post office was still functioning in the war, their sufferings in the barracks, their becoming women in a fast way. the account of the ir daily life on the front is just amazing. The book is brilliantly translated in French by Daphné Bernard who also wrote an introduction mentioning the circumstances of the camps. It is a precise way of understanding the huge war effort made by the Brits who sent 250 000 young men and women to the French front. More than ten million soldiers died in the conflict and over 20 million were wounded. There were also hospitals financed by private money. 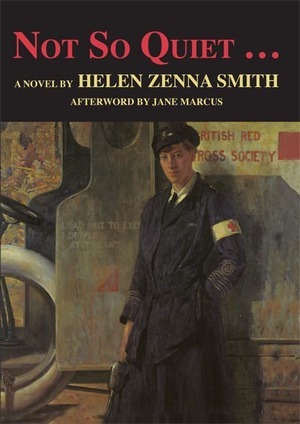 The author, Evadne Price, who took the pseudonym of Helen Zenna Smith, was asked to write a similar book to “All quiet on the Western Front”, which was so successful after the war: thus the title of “Not so quiet”. It is a short powerful book which reminds us of the first liberation of women in the war, the courage and sense of humor of these girls who would go home to their social and egotistic mothers who did not understand anything about their traumas. Love with the young soldiers also enters the book in a dramatic way. This short little jewel has been published by the Feminist Press in New York and is now available in French at Editions de Fallois. Wonderful post! Thank you so much for drawing our attention to this book. I still have my grandmother’s Red Cross Uniform! She was born in 1898, lived not far from the Somme, and managed to be a nurse from 1916 till 1918., quite an experience for a young girl….I am looking forward to the book.